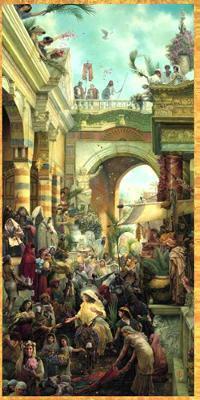 have been fulfilled and decoded with the historical events in the Christian history! 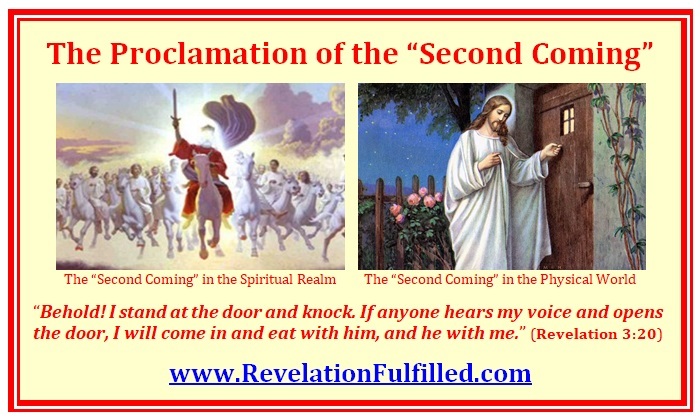 For the past several decades, many people of faith have already been aware of the signs of the “Second Coming” all over the world. Most people anticipated the miracle of the “Second Coming” at the beginning of the New Millennium but did not see it. However, God did not let people down. The miracle of the “Second Coming” did happen as the “Man Child” who was prophesied in Revelation 12:5 was spiritually awakened in September 2000. Many people may disagree with this miracle because they were taught that the “Second Coming” should be the supernatural phenomenon of Christ coming from heaven with thousands of angels following him. That interpretation is also correct, but only for the spiritual realm. In the physical world of our 3-dimensional universe, the real phenomenon of the “Second Coming” was the birth of the “Man Child” in the country of the “Red Dragon” as prophesied in Revelation 12:5 and later came to the land of the “Great Eagle” (Revelation 12:15) and was spiritually awakened on “Mount Zion” as prophesied in Revelation 14:1. 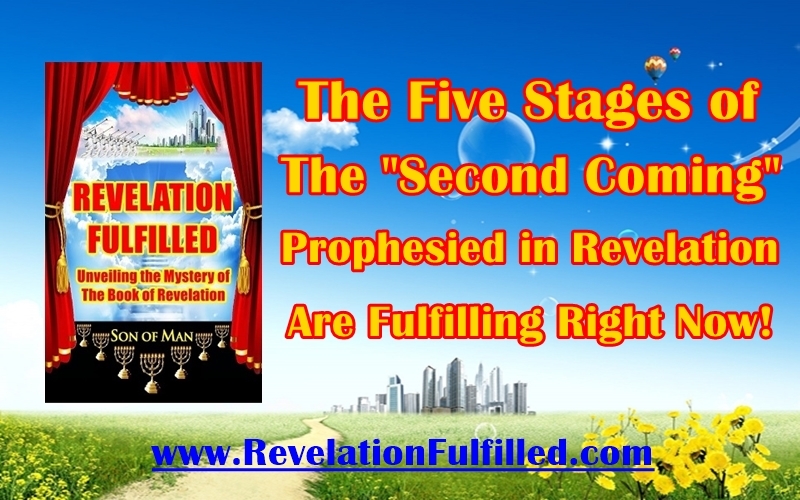 In fact, from the birth of the “Man Child” in Revelation 12:5 to the spiritual awakening on “Mount Zion” in 14:1 and to the final coming out of the “Rider on the White Horse” in 19:11, there are actually Five Stages of the “Second Coming” prophesied in the Book of Revelation. No one knows how these prophecies were fulfilled except the Son of Man who fulfilled these prophecies. That’s why at this time, the 2,000-year mystery of the prophecies in the Book of Revelation was finally decoded by the Son of Man prophesied in the Book of Revelation. Fifty-one years ago, on the day of Easter, the “Second Child”’ in the Bible was born in the country of the “Red Dragon” as prophesied in Revelation 12:5. Easter is the day of resurrection when Jesus Christ completed His mission of the “First Coming”. Now, Easter is also the birthday of the “Second Child” in the Bible, which represents the beginning of his mission of the “Second Coming”. Thirty-two years later, in the year 2000, the “Second Child” in the Bible was spiritually awakened at the beginning of the New Millennium in the land of the “Great Eagle”, especially in the state of “Zion” where the Zion National Park is. One year later, the terrorist attack occurred on September 11, 2001. While people were wondering whether it was the disaster of apocalypse prophesied in the Book of Revelation, the Son of Man began to look into the prophecies in the Book of Revelation and finally decoded the 2,000-year mystery of the Book of Revelation with the testimony of all the major historical events in the Christian history in the last two thousand years up to the New Millennium. In the last eighteen years, many faithful people of God received the inspiration from God that the Messiah was already on the earth, but they didn’t know how the Messiah came. They were ridiculed by the media and internet audiences as their predictions failed to materialize in the worldly view, but their predictions were true as the Son of Man was here already. Satan and its Dark Force had done their best not only to block the information of the Son of Man to the public but also to sent many false claimers before the real Messiah to deceive people. Just a few weeks ago, another fool came out to claimed himself as the Messiah to the media. As Jesus prophesied in Matthew 24, there would be many false prophets and false christs to come before the real Son of Man comes. None of those false Christ or false Messiah could fit into the prophecies in the Book of Revelation nor did they have any clue what the prophecies in the Book of Revelation really mean. Only the Real Son of Man for the “Second Coming” could decode the 2,000-year mystery of the prophecies in the Book of Revelation because He is part of the prophecies. However, Satan’ tactics seem worked. When people are tired of false prophets and false Messiah, even the real Messiah comes, they will consider Him another false Messiah and ignore Him. During the last eighteen years, Son of Man tried several times to come forward to bring the New Revelation of the Eternal Gospel to the public, but not many people paid attention to that. I sent press release to the media, they seemed not interested. I also went to some local churches to meet with some pastors, most of them only want to see the supernatural phenomenon of the glorious return of Christ coming from the sky while ignoring the knocks on their door. They must forget what is clearly written in the Book of Revelation: “Behold! I stand at the door and knock. If anyone hears my voice and opens the door, I will come in and eat with him, and he with me.” (Revelation 3:20) Some of them even called the Son of Man blasphemy, which was the exact response the high priest responded to Jesus’ acknowledgement as the Son of God. (Matthew26:57) History always repeats itself. Therefore, Son of Man decided to write down the New Revelation of the Eternal Gospel for "every nation, tribe, language and people" (Revelation 14:6), the New Millennium Testament for the New Millennium. If people of this generation could not accept it. then the future generations will. The Word of God will eventually prevail as the truth will not be hidden forever. It's just the matter who will be the first to receive such blessing of God. Nowadays, the religious conflicts flared up around the world. Over 800 churches were attacked, vandalized and burned in France in the year 2018 alone and one of the largest churches in Paris, the Saint Sulpice Church, was set on fire last month. On March 15, a white gunman also shot in the Mosques in Christchurch, New Zealand, and killed fifty Muslims who were worshipping there. The religious killings and retaliations are growing out of control now. Then, on April 15, 2019, right before the Easter weekend, the famed Notre Dame Cathedral was burned in fire. 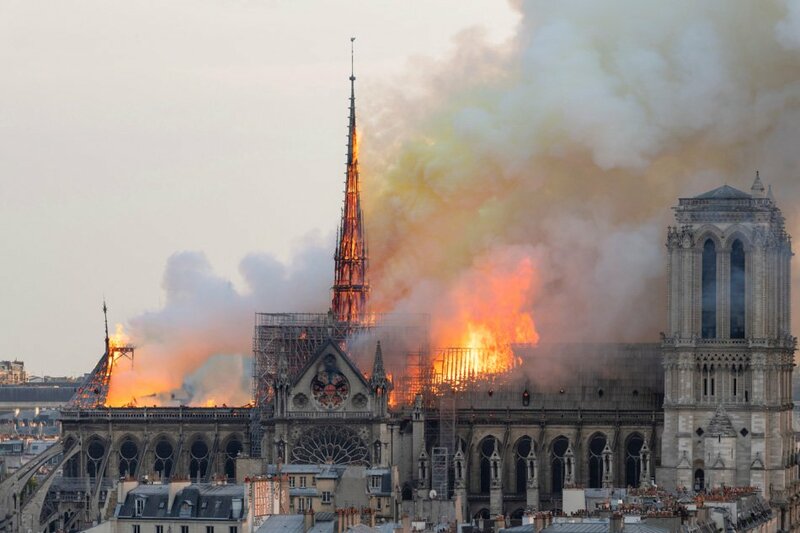 Whether it is an accident or deliberate arson, it carried a great prophet message: The Falling of Notre Dame is the Falling of France and Old Christendom in Europe. If European people don’t wake up to the reality and revive their faith in Christ, their future is doomed. Therefore, the Son of Man cannot wait on the sideline any more. I have to come out to reveal the New Revelation of the “Eternal Gospel” for “every nation, tribe, language and people” prophesied in Revelation 14:6 to end the religious conflicts and stop the religious war among the people of God. in the world are waiting for, is here now! to help the Son of Man bring this New Revelation to more people! * 04/21/2019: Why God Allowed Notre Dame Cathedral on Fire? * 01/21/2019: The Prophetic Meaning of the "Super Blood Wolf Moon"
* 04/14/2018: The Open Call for 144,000 New Millennium Saints of the "Second Coming"
* 03/31/2018: Easter- The New Beginning for the "Second Coming"